Arguably the best couple of weeks in the Australian sporting summer are about to get underway. The BBL is in full swing as is the Australian Summer of international cricket and the 2019 Australian Open gets underway on Monday! As usual, our resident tipster ‘Ace’ will be bringing you sporadic game tips throughout the two week tournament, but to get us started, we thought we would give you a tournament preview and betting tips including all the major future bets! Quarter one houses the tournament favourite and our pick to take out the 2019 Australian Open, Novak Djokovic. After a tumultuous two-year span plagued with injuries which saw him reach just one Grand Slam final, Novak got back to his best towards the end of 2018, winning the final two Grand Slams of the season in Wimbledon and the US Open. He might have a bit more competition heading into this year’s Australian Open but he shouldn’t be troubled in the first quarter, with the main threat coming in the form of Kei Nishikori. Djokovic is currently tied with both Roger Federer and Roy Emmerson for the most Australian Open titles of all time (6) and can move into the solo lead with his first win in three years at Melbourne Park this year. Djokovic’s lead up has been pretty solid, making it to the semi-finals of the ATP Doha earlier in the month. He is the No.1 ranked player in the world and has the best hard-court form coming into the tournament. Is good value at $2.25 considering he should make it to the quarters without dropping a set. The second quarter represents some more value with the favourite coming in the form of German Alexander Zverev at $3.50. Aussie hopeful Nick Kyrgios resides in the tough quarter and starts at odds of $10 behind the likes of Dominic Thiem, Borna Coric and Milos Raonic. At $3.50 he can hardly be considered a strong favourite, but we like Zverev in this quarter. The youngster has had a great couple of months on the hardcourt which included beating Roger Federer and Novak Djokovic to win the ATP Finals in London in November and making it to the final of the Hopman Cup earlier this month, ultimately losing to Federer. Roger Federer is the current back to back champion of the Australian Open, having won the tournament in both 2017 and 2018. He headlines the third quarter and it would be tough to see him not take it out given his early start to the hardcourt season. Federer Helped the Swiss win the Hopman Cup without dropping a single set throughout the tournament and defeating some quality opposition in the likes of Tsitsipas and Zverev along the way. At $34, Brit Andy Murray represents some value after stating that he could potentially retire after the Australian Open while Karen Khachanov, Marin Cilic and Tsitsipas make up the rest of the Q3 hopefuls. We can’t look past Federer, however. We have taken the favourite in all three quarters so far but we are straying away from the World No.2, Rafael Nadal in the fourth quarter this year. At $2.25 to win, Rafa is a strong favourite but has had a pretty inconsistent lead up due to injury, playing just two competitive matches since his US Open Semi Final loss to Juan Martin Del-Potro last September. Those two matches have both been exhibitions and have both been losses to Kevin Anderson and Nick Kyrgios respectively. We think Bulgarian World No.21 Gregor Dimitrov represents great value in this quarter at $6. We are taking a bit briefer look at the women because even at the best of times it can be extremely hard to find a winner on this side of the draw of the Australian Open. Serena Williams obviously enters the tournament as the favourite, but not a standout favourite like Novak Djokovic. Williams opens at just $5.50, which we think is fantastic value for the greatest women’s tennis player of all time. Williams first tournament since her disappointing loss to Naomi Osaka in the final of the US Open was the Hopman Cup, in which she breezed through her three singles matches before the US team were beaten in the group stage by the Swiss. Williams has 7 Australian Open titles in her illustrious career, bettered by only Margaret Court with 11 and the US star will be looking to win her 73rd title at Melbourne Park. Our value tip for the 2019 Australian Open comes in the form of the most recent women’s Grand Slam winner, Naomi Osaka. Osaka showed that she is a threat to any woman in the world on hard court at the end of last year as she defeated Serena Williams in the final of the US Open. The World No.4 has the advantage of having played a bunch of hard-court tennis in the lead up to the Australian Open, having played three full tournaments in the Asian leg of the WTA in Tokyo, Beijing and the WTA Finals in Singapore. Osaka made it to the final and semi-final of the Tokyo and Beijing WTA tournaments respectively on the back of winning the US Open and although it was a disappointing finish to the season in Singapore, she bounced back to reach the semifinal of the WTA Brisbane this month. Arguably the most in form hard court women’s tennis player in the world at the moment. We're giving away five subscriptions to Ace Tennis Previews for the Australian Open in our free-to-enter competition! Simply retweet this article on Twitter or share our post on Facebook for a chance to win! That's all you have to do! 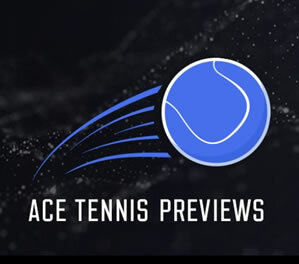 We will put everyone who shared this preview on social media into a random draw, and the five lucky winners will be drawn to receive a subscription to Ace's premium tips for the duration of the Australian Open. Ace is the premier tennis tipster in Australia with a proven record of winning betting tips over a number of years. No one follows tennis more closely than Ace, so this is a great opportunity to enjoy a premium paid tips service for absolutely free. Also stay tuned to BYB throughout the Australian Open for some free match previews from Ace!